The recent sale of the First Church of Christ, Scientist building on Main Street and its conversion to a secular use is nothing Hingham hasn’t seen before. Other former Hingham houses of worship remain in our midst, repurposed as private homes and office buildings. The First Universalist Church and Society, the Free Christian Mission, and the United Social Society of South Hingham have all, over the years, slipped from our consciousness, but their architectural ghosts remain on North Street, High Street, and Gardner Street. The history of Hingham’s Universalist Church and Society is linked with the 19th century women’s movement. 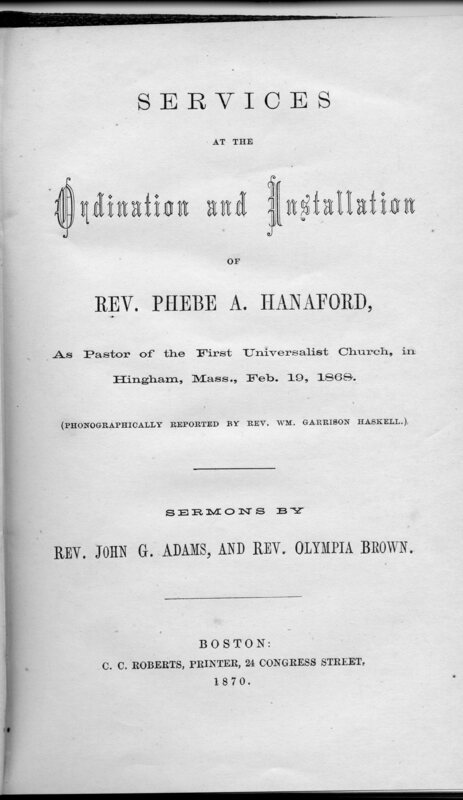 In 1868, Phebe A. Hanaford, its pastor, became the third woman to be ordained to the ministry in the United States—in the Universalist church on North Street. The ordination was performed by the Rev. 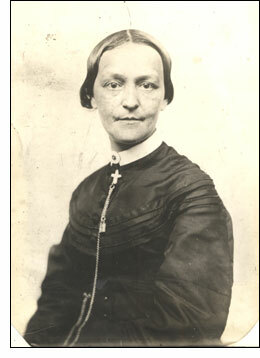 Olympia Brown, the first woman in the United States to be ordained to the ministry and the pastor of the First Universalist Society of Weymouth. Ordination of the Rev. Phebe A. Hanaford. Collection of the Hingham Historical Society. 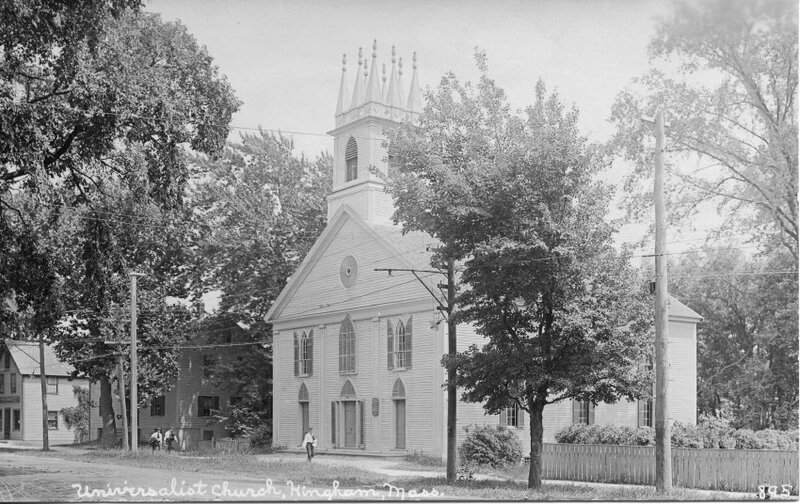 When Hanaford left the Hingham church to accept the Universalist pulpit in New Haven (and increase her abolitionist and suffragist activity), she was succeeded by the Rev. Daniel Livermore. Livermore’s wife was the prominent abolitionist, suffragist, and reformer Mary Ashton Livermore. Although the couple resided in Melrose, Mary Livermore, a sought-after speaker once dubbed “The Queen of the American Platform,” spoke from the Universalists’ North Street pulpit and elsewhere in Hingham in support of women’s rights and temperance. 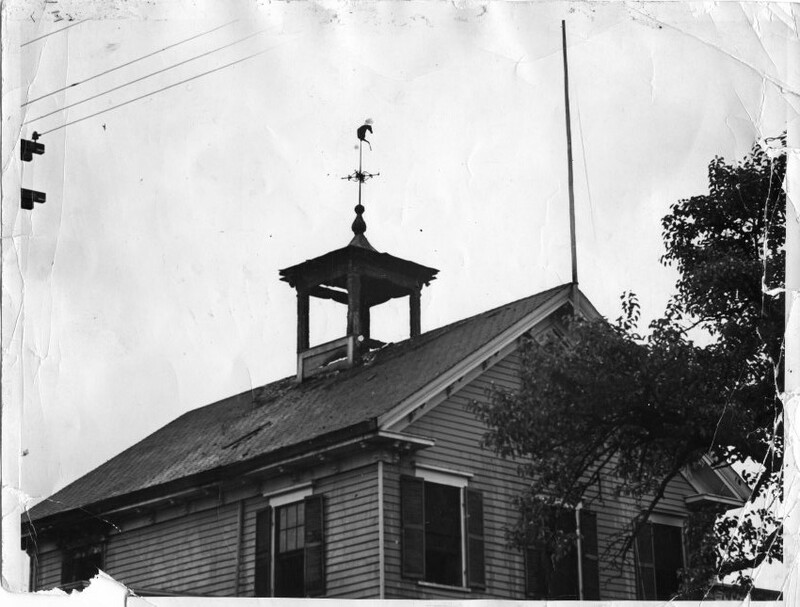 Hingham’s Universalist Church disbanded in 1929. After several commercial uses in the early and mid-20th century, the building still stands as a private residence. The advantages which follow an attendance upon public worship are apparent to nearly every candid and thinking person. A community is not only improved in intelligence, virtue, and happiness thereby, but with those characteristics come a more earnest recognition and maintenance of law and order, as well as an increased interest in the prosperity and general welfare of society. . . .
At the present time a number of our fellow citizens desire to establish another church. With their associates they number about one hundred persons, the majority of whom reside on Ward and High Streets, or in the vicinity. They have held meetings during the past year at their residences, and these meetings have been very well-attended . . .. The Free Christian Mission, at some points also called Mt. Zion Chapel, embraced the covenant of the “Second Advent” or imminent second coming of Christ. Adventism, an evangelical branch of Protestantism, grew in popularity after the Second Great Awakening of the early 1800s. 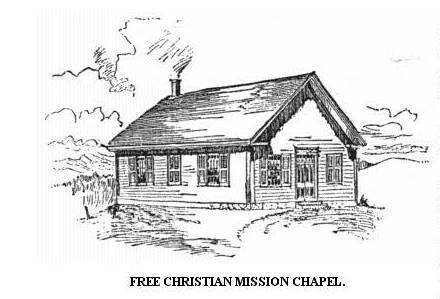 The Free Christian Mission disbanded in the early 20th century. As with the Universalist Church, the building was put to a succession of secular uses. It was for some time an antiques store and is currently a dentist’s office. While “Liberty Plain” and the South Hingham neighborhoods along Gardner, Whiting, and Derby Streets were formally part of Hingham’s Second Parish, it was a long trip up Main Street for services. 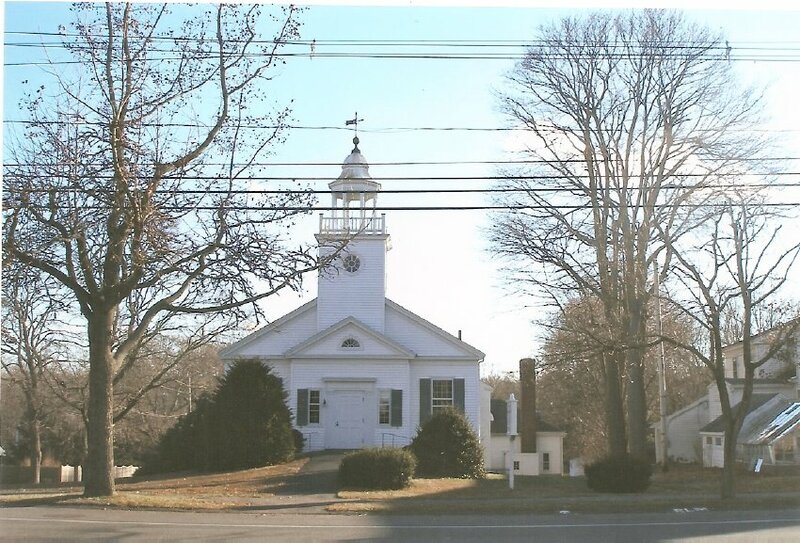 In 1891, two sisters, Sara Chubbuck and Anna Belcher, were instrumental in the formation of the United Social Society of South Hingham, which ran a Sunday School and offered worship services to families in this southernmost part of Hingham. After the Society spent a year in an unheated woodenware factory on Gardner Street, it erected a chapel at the corner of Gardner and Derby Streets for Sunday School and worship services. This building, too, survived its congregation; it is now a private residence on lower Gardner Street near Farm Hill Lane, not far from its original location. March is Women’s History Month and an appropriate time to remember Phebe Ann Coffin Hanaford—a remarkable woman whose Hingham connection is not generally remembered. This photograph from our archives is of the Meeting House of the First Universalist Society in Hingham. The building remains standing as a private home on North Street—albeit without the wonderful “crown.” It was built in 1829 by a group of Hingham adherents of Universalism, a liberal Protestant Christian faith which, like Unitarianism, developed in New England as a reaction to the strict Puritanism of the area’s early settlers. Universalists believed in universal salvation: that all human souls—not just the Elect—achieve salvation through Christ. Their liberal theology was matched with liberal social views, and in the mid-19th century, the Universalists were one of the few Protestant denominations to ordain women to the ministry. Educated in the good old fashioned way, she had the bible from Genesis to Revelation at her tongue’s end; having common sense and a good heart she understood our faith. And when the question about pastoral labor was put [in the examination for ordination], the chairman of the committee of the Hingham society, where she has been preaching for a year, stated she had done it more effectually than any man they had had for the last twenty years! She stayed in Hingham (while also preaching at the Universalist Church in Waltham) until 1870, commuting by horse and buggy from the Reading home she shared with her husband and two children. In 1870, she accepted a call to the First Universalist Church and Society at New Haven, taking her children with her but leaving her husband behind. From 1870 on, in parishes in New Haven and Jersey City, New Jersey, she shared her home with a woman named Ellen Miles. Hanaford had been active in the abolition movement in the 1860s and after the Civil War became an increasingly well-know activist in the women’s suffrage movement. She lost her pulpit in Jersey City in a controversy that stemmed partially from her outspoken involvement in the suffrage movement but also partially from her then-unorthodox domestic arrangements (contemporary newspaper articles referred to Miles as “the minister’s wife”). She did not have a parish of her own again, but she wrote and spoke and remained active in the women’s suffrage and temperance movements. In the public sphere, she presided at the funerals of both Elizabeth Cady Stanton and Susan B. Anthony. Closer to home, she had the opportunity, unprecedented for a woman of her time, to give the blessing at her son’s ordination to the Congregational ministry and to perform her daughter’s marriage.